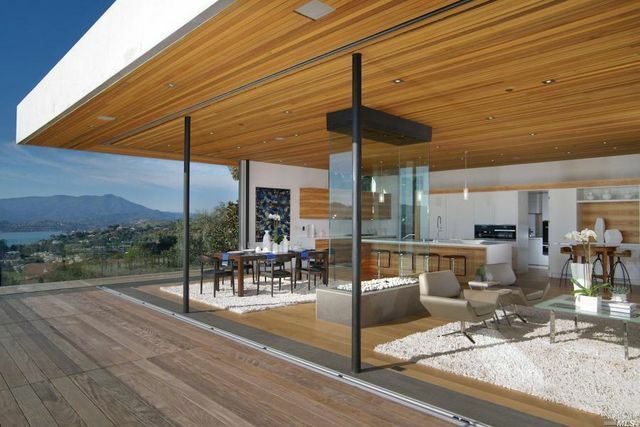 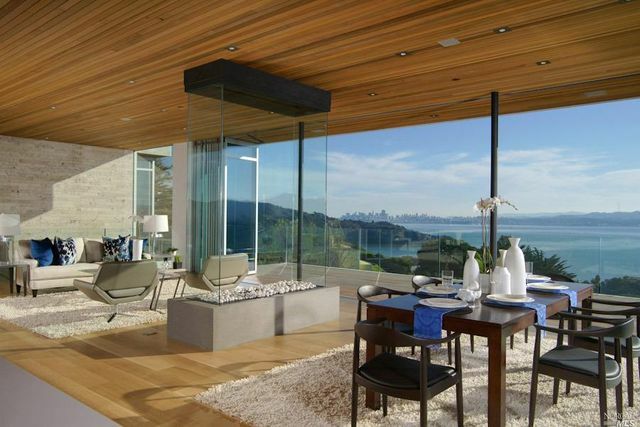 Smart home technology, breathtaking views, Italian marble, French limestone, and NanaWall retractable glass walls are only a few of the extraordinary features of this modern contemporary hideaway in the Haven Hill neighborhood of Tiburon, CA. 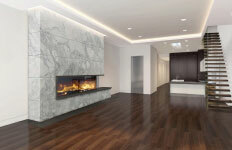 When Lowell Strauss, of Amalfi Ridge LLC came to us looking for an elegant custom gas fireplace system for the master bedroom of this home we were excited to add to this gorgeous residence! 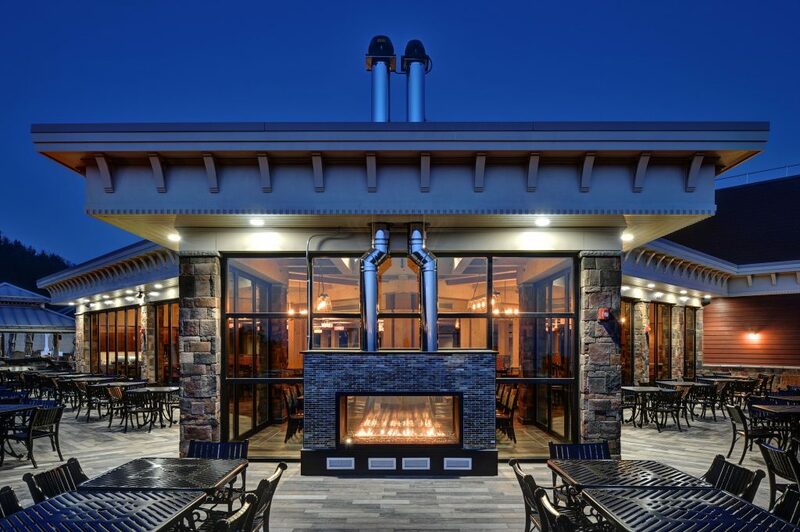 We started working with Lowell Strauss and David Kotzebue, the Architect who created this masterpiece, in Spring 2015. 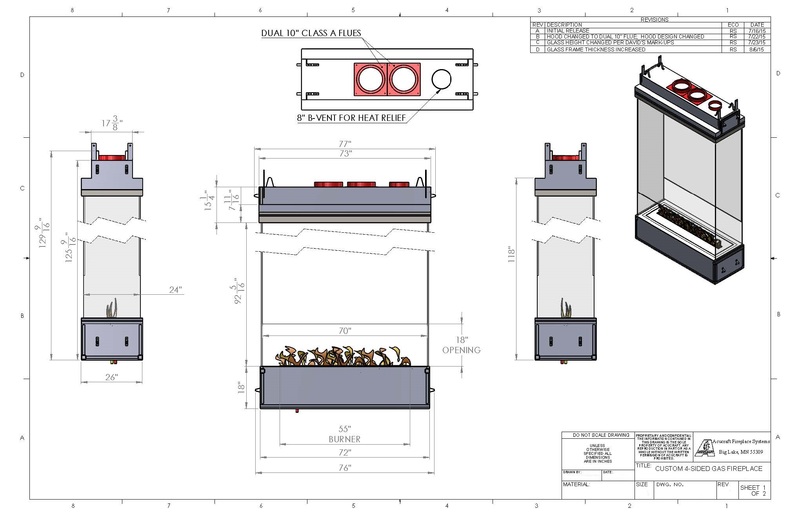 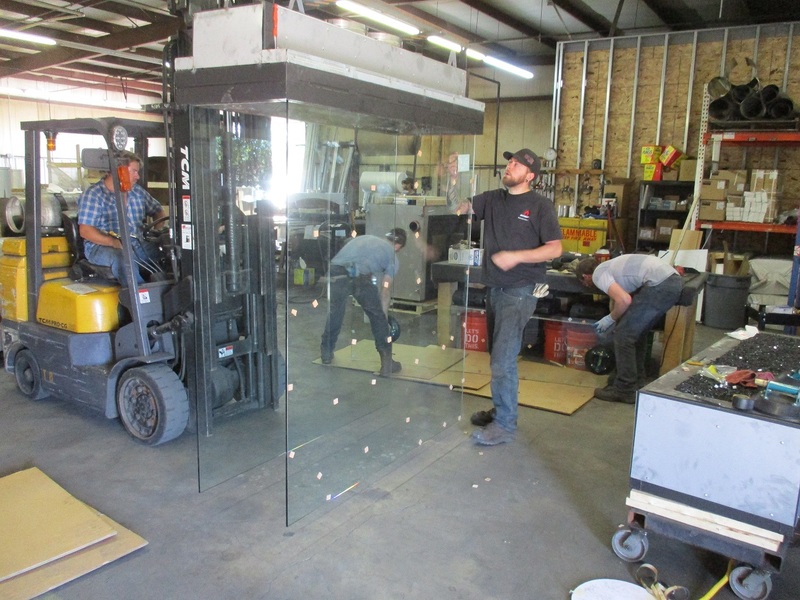 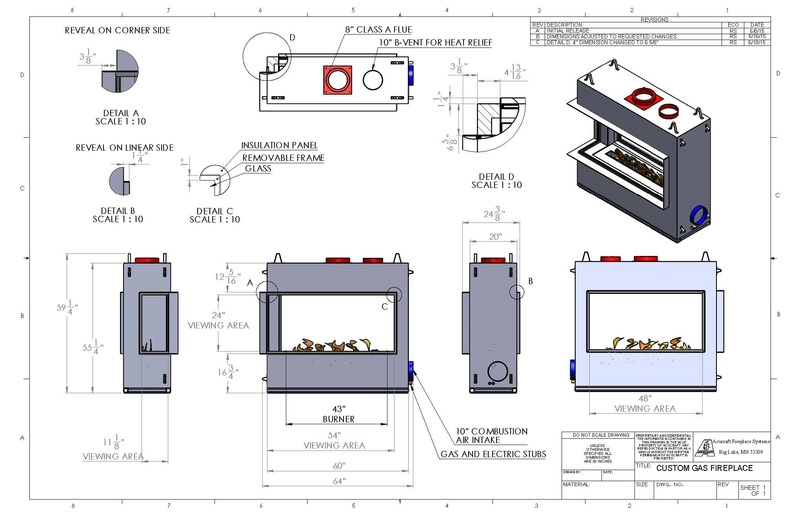 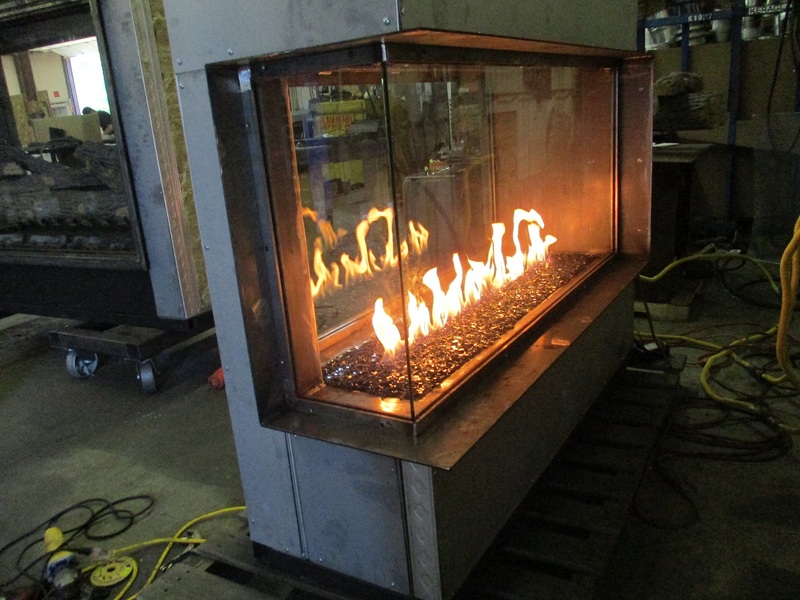 They originally came to us with a need for a see-through custom gas fireplace for the master bedroom/bathroom. 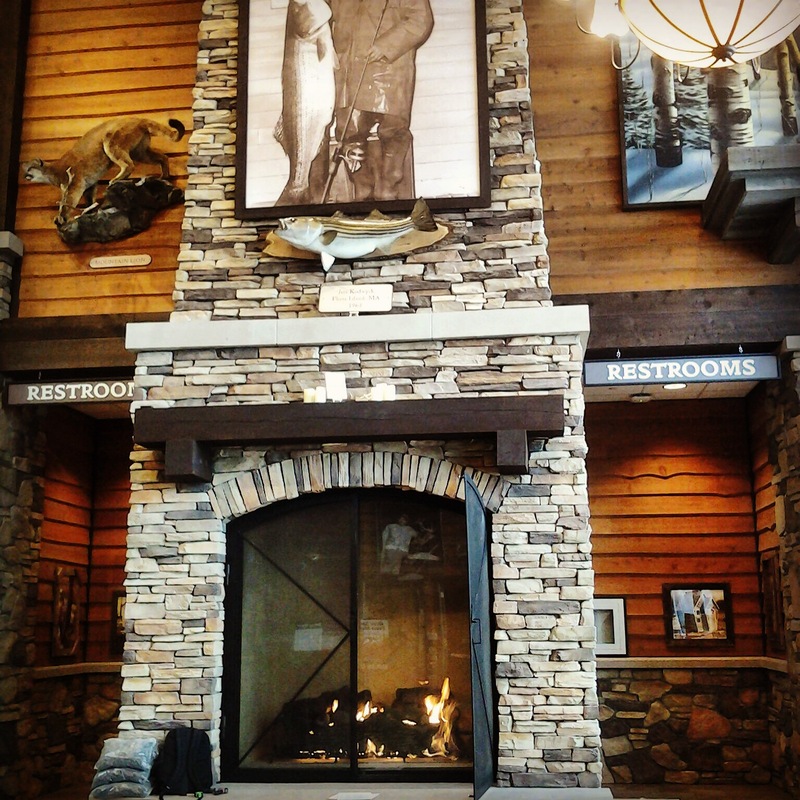 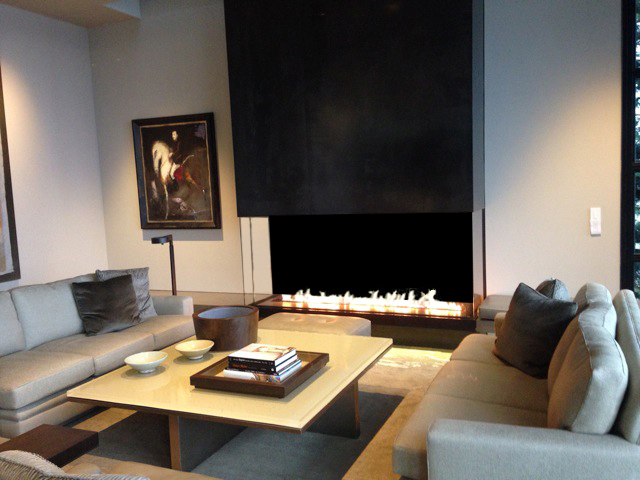 We custom designed and built this gorgeous gas fireplace to fit seamlessly into the modern feel of the home. 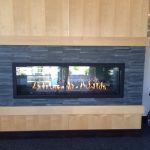 After receiving their first fireplace and absolutely loving it they proceeded to order another custom gas fireplace for the home. 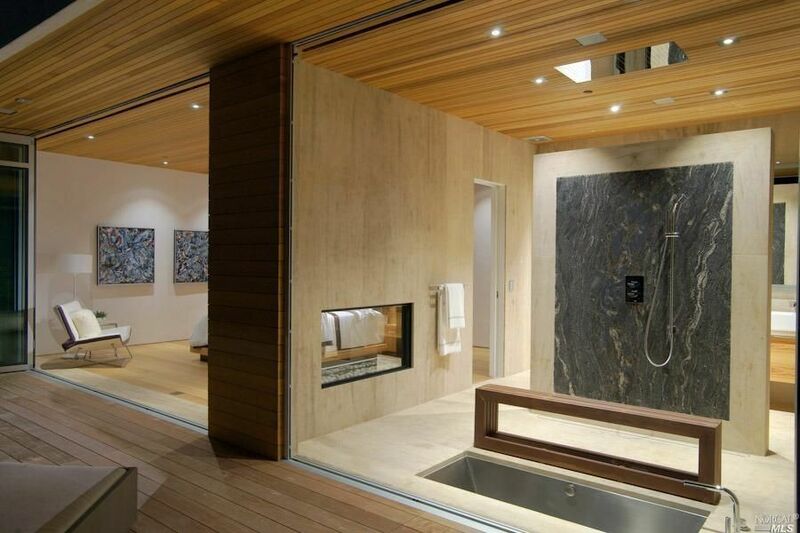 Their first fireplace is an Acucraft Custom Gas 3-Sided Corner See Through Fireplace elegantly merging the master bedroom and master spa bathroom. 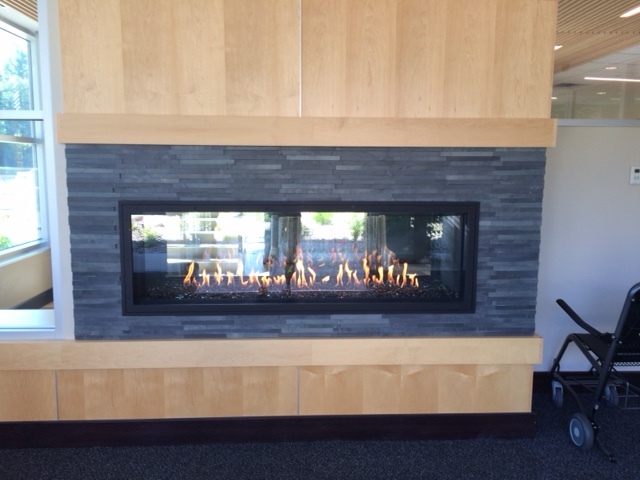 After receiving this 3 sided custom gas see through fireplace they were so impressed that they ordered another fireplace for the home based on another one of Acucraft’s custom gas fireplaces! 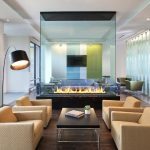 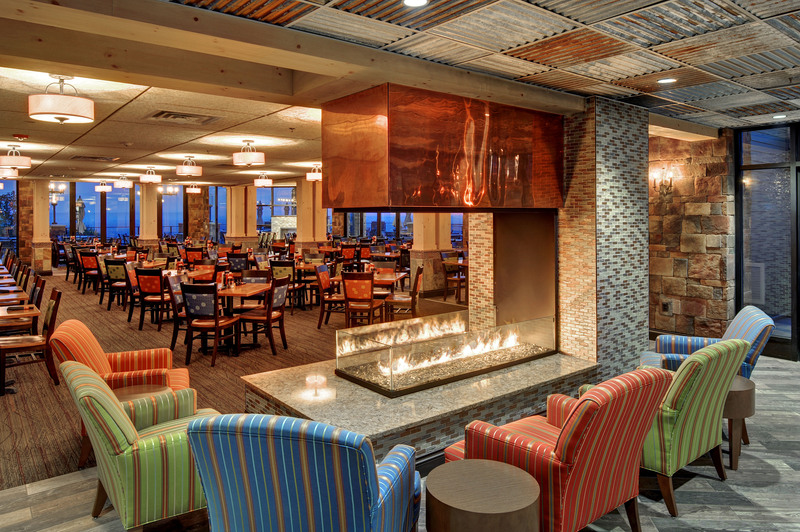 One of our most sought after fireplaces is a large custom gas 4-sided fireplace designed & manufactured for West Square Apartments in Boston, MA which happens to be the same fireplace that Lowell was looking to add to his space. 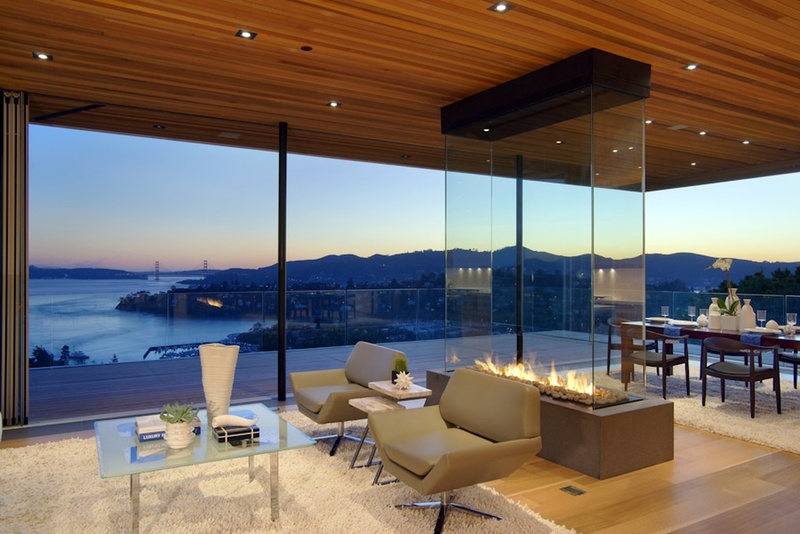 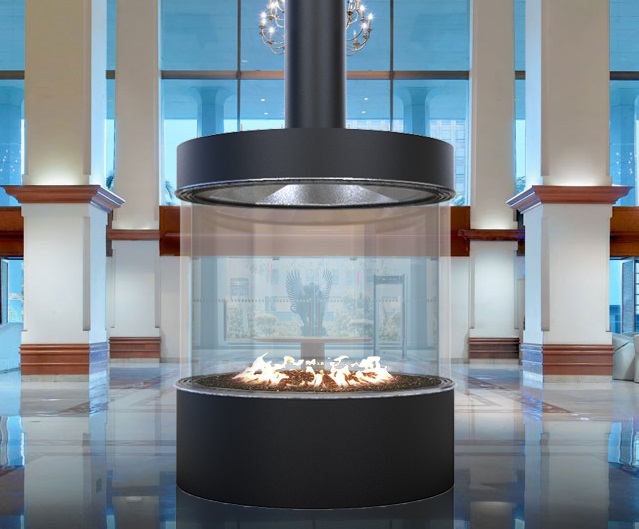 After discussing the needs & desires for their second fireplace we designed a custom gas 4-sided suspended glass fireplace with a 24″ open reveal to maintain an unobstructed view of the Golden Gate Bridge and Downtown San Francisco. 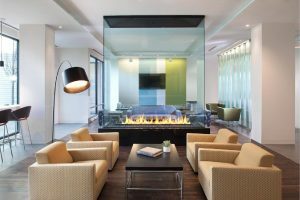 It was a pleasure working with both Lowell and David on this project; we are looking forward to collaborating on future projects!